As a kid I loved writing my name in the front cover of my books. Especially the Little Golden Books, they had a little illustrated bookplate printed right inside, ready to be scribbled on. When eve I find myself browsing vintage book stores, I love pulling a book off the shelf with high hopes of discovering a germ of a bookplate pasted inside, I have actually become pretty good at guessing which ones will have one and which will not. You should try it sometime when you find yourself surrounded by shelves of those beautiful dusty gems! I have been wanting to design some bookplates, for quite a while, but have’t found the time or really the right way to go about it. Until now of course! I only have a few styles so far, but I couldn’t be happier with them, and I look forward to expanding the selection over at The Chatty Press, as summer turns to fall and the air fills with the scents of sharpened pencils and text books. 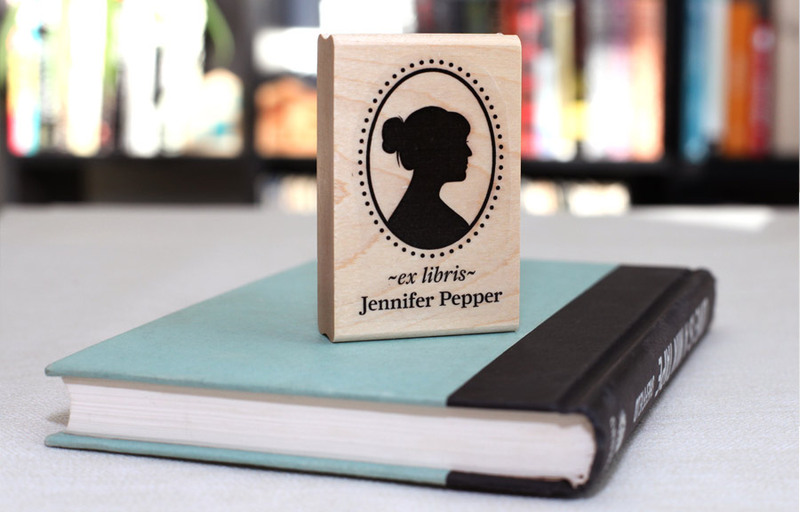 I would love to make you, or your favorite bookworm, a personal bookplate that can be stamped over and over again as the library grows. Take a peek at the shop and maybe get a holiday order in to beat the rush! Back in High school I had a weekend job and a small antique shop/book store. It was a very quite position, I worked the shop alone and there were few customers, so I spent most of my time dusting, stocking and pricing items and of course browsing (and reading) the selection of books on the shelves. The owners of course knew I loved finding new treasures to read, and one afternoon when they stopped in, they pulled a book off the shelf and told me it was now mine. 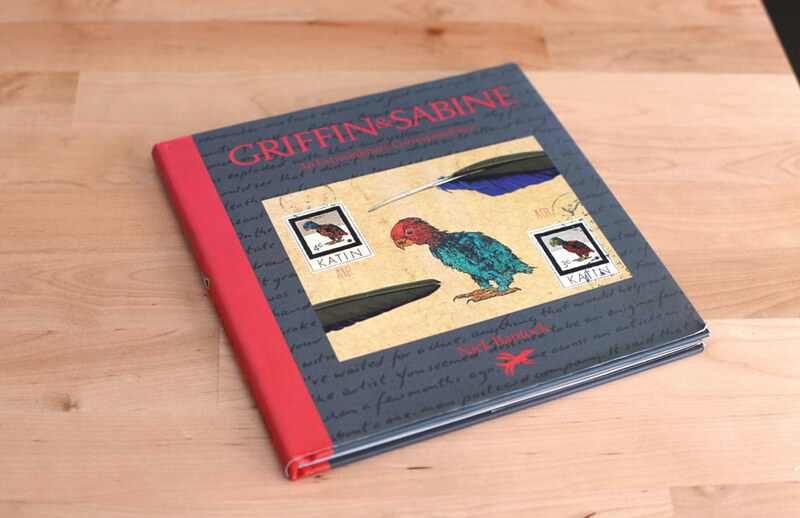 The book was Griffin & Sabine by Nick Bantock. I didn’t know what to expect as I cracked open the spine for the first time, but once it was open I couldn’t put it down, there is something magical about it. 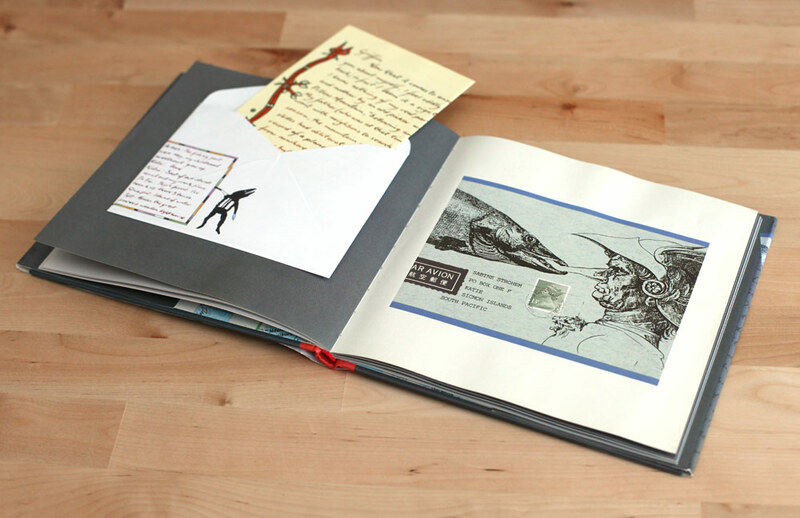 Part novella, part artistic endeavor and wholly mesmerizing, the nook is a series of letters, notes and postcards back and forth between two strangers. 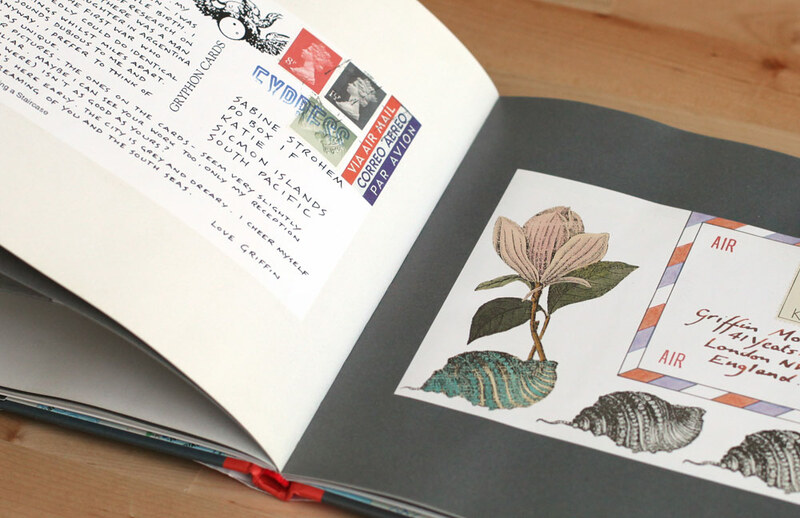 For someone who loves art, illustration and postcards, I felt that this book was meant just for me. Everything is hand illustrated, even the postage stamps are imaginitve, but my favorite pages are the ones where you have to physically take a letter out of the envelope in order to read it. At times it almost feels as if you are part of the book, or found these letters by chance. The book ends of course on a bit of a cliff hanger. I remember contemplating what happened for days after reading the book for the first time, and then of course reading it again. It wasn’t until a few years later, in a local bookstore, that i discovered this book was the beginning of a trilogy (it wasn’t over after all). I have read all of the books, but the first one is still the most beautiful to me. 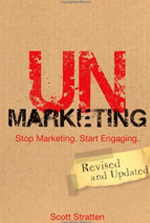 If you happen to see this book sitting on a shelf, pick it up, read it, and pass it on. It’s a quick haunting read, but I promise you can spend hours admiring the illustrations. I first read “Home from the Vinyl Cafe” a few years ago. It was one of those books that looked iteresting from afar, and once I read the descrption on the back cover I knew it had to come home with me. “Meet Dave, the owner of the world’s smallest record store. Meet his pal, Kenny Wong, who runs Wong’s Scottish Meat Pies. Meet Dave’s wife and their children who, along with everyone else in town, bump and stumble through a hilarious year of mistakes, miscues, misunderstandings, and muddle.” Humor Hilarity, and maybe someone embarrasses themselves in public, count me in. I couldn’t put this book down. I got my hands on a few of his other books as well, they all kept me giggling out loud, and trust me that makes for some strange looks on the subway. Lately I have been feeling a little down, unsure of myself and where I am headed in my career. I’ve been feeling a little bit in a funk and needed something lighthearted to lift my spirits a bit. 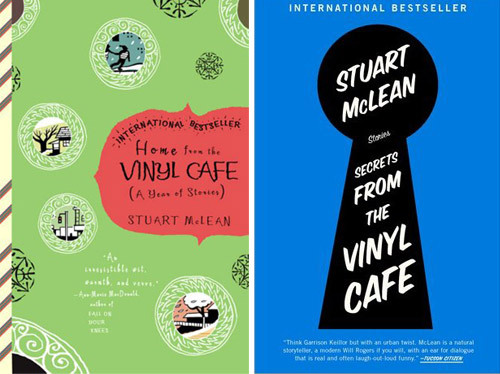 Well, it turns out good ol’ Stuart just released a new book this month; “Secrets From The Vinyl Cafe.” A quick press of a button, it is available for the Kindle, and there it was the book that I hoped would cheer me up. Needless to say, it did. The short stories, or rather anecdotes, in this book seem to be a little more heartfelt. Sure there is still hi-jinx and missteps that happen along the way, but there is always an undertone of love, family and friends. It made me laugh, and made me thankful for those that I have around me. I have to say if you are looking for a quick and light read, with a whole lot of fun, pick one of these up. I’m still smiling. Even though I have been reading more and more on my Kindle, there is nothing quite like a real book. Of course when your eyes start to get tired, or it’s time to just put that book down and go outside for a bit, you will need something to keep your place. Check out these fun bookmarks from Stippee. 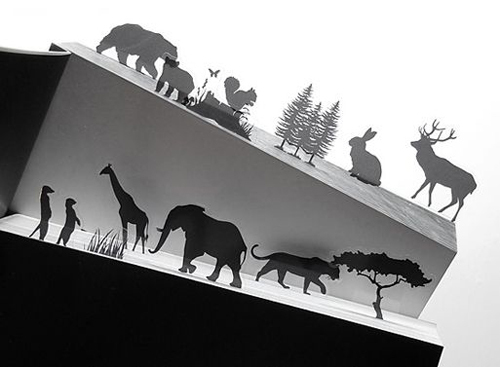 These translucent guys sit atop your book and turn it into the great outdoors. I love that they have different sets, flowers, woodland creatures and even an african safari. Check them out over at spoonsisters. 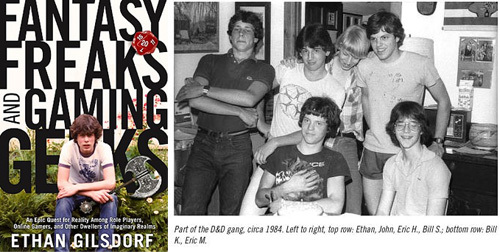 I’ve actually been plowing through the book Fantasy Freaks and Gaming Geeks: An Epic Quest for Reality Among Role Players, Online Gamers, and Other Dwellers of Imaginary Realms for the last few weeks. If you have ever watched all the Lord of the Rings movies back to back, or showed up at the local bookstore at midnight to get the latest Harry Potter book, or maybe you played World of Warcraft a couple times, then this book is for you. The book takes a look at escapism in many forms, from Dungeons and Dragons to Wizard Rock (Think Harry and the Potters). I love cut paper. I love books. I love amazing narrators. 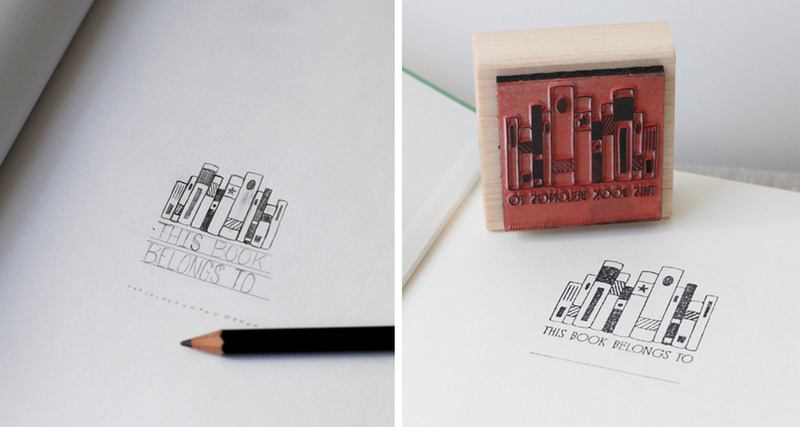 Behold this amazing animation for the New Zealand Book Council by Andersen M Studio. Books really do just come alive! 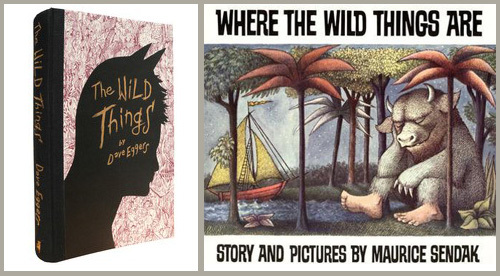 I know some of you are as excited about the theatrical adaptation of Where the wild things are as I am. Dave Eggers (McSweeney’s, Away We Go) wrote the screenplay for the film, which is directed by Spike Jonze. Dave also wrote a stand alone novel entitled The Wild Things. Scheduled to release in October along with the film, you can pre-order a copy of the book from the McSweeney site. You can also read an excerpt of the book that was published in the New Yorker Magazine right here. This is sure to be my top read this fall. Call it a comic, call it a picture book, call it it a graphic novel, call it whatever you want. 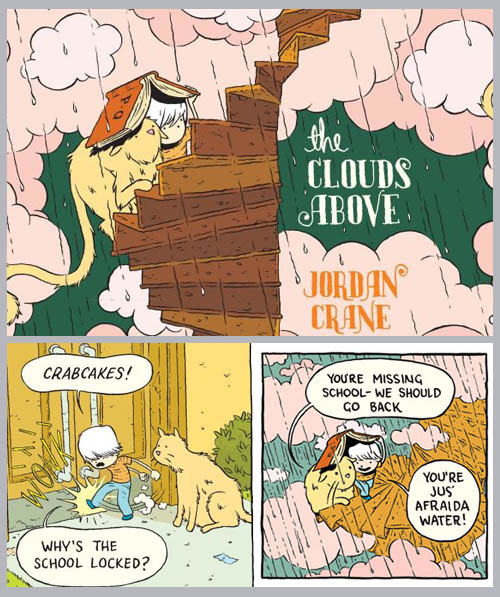 The clouds above by Jordan Crane is adorable. I picked it up yesterday with some other new books from my midtown comics shopping extravaganza, and I have to say that I am not disappointed in the least. I try not to go there with books in mind. I just browse around till something jumps off the shelf at me, and the fact that they have members rewards (for every $100 you spend they give you your next $20 off) it’s hard to to buy a few too many books on occasion. But this book is by far my favorite of the year! It’s a super-cute story of a boy and his cat and his adventure in the clouds. I really don’t want to ruin it for anyone so thats all I’m saying. If you a real book collector I recommend getting the signed number edition here. And just in case you like kids comics as much as I have grown to love them check out this awesome blog I stumbled upon today Kid’s Comics, maybe there is something else that is just dying to be added to your library.